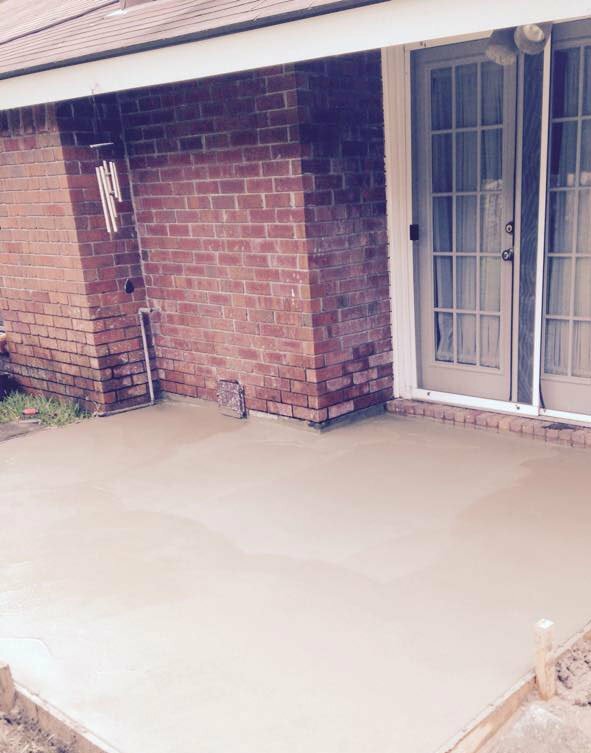 We were called by a local resident for a concrete patio improvement in Savannah ga to replace the broken – cracked concrete patio. 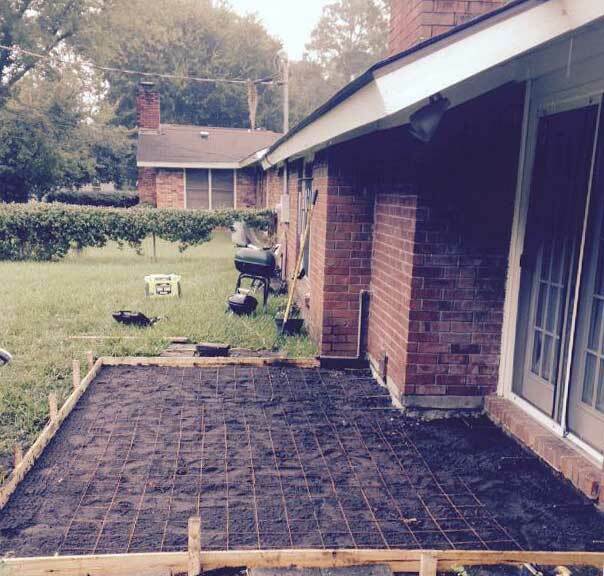 After getting the layout of the form boards ready for the patio area, one of the steps we take in prepping for a new concrete patio is we tie into the existing foundation, placing rebar into holes we drill into the foundation. This provides extra support from sinking and cracking for the new patio. Before placing the rebar we make sure the soil is well packed, in this case we had some old concrete from the damaged patio the we busted up into small pieces, added it to the soil base then put the wire mesh over this solid foundation. We added the rebar and tied the wire mesh to the rebar, so the wire mesh would be off the ground a bit. This allows the wire mes to be in the center of the concrete instead of the base and helps in keeping the new patio from cracking. After pouring and leveling the concrete allow 24 hours for the concrete to sit before removing the form boards. For other repairs, replacements and jobs you can visit our home improvement photo gallery.